Gloria Eun Hye Lee is facing the type of charge that you do not want to put in front of any jury. 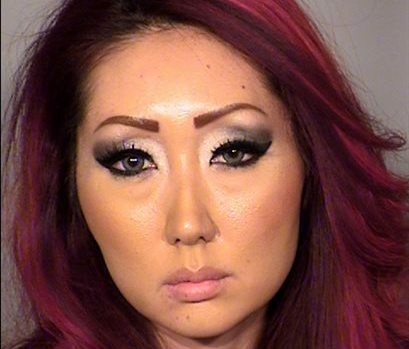 The Las Vegas a pet shop owner is accused of torching her own store. The problem is that she allegedly decided to leave 27 puppies inside in the arson attempt. Fortunately, firefighters arrived in time at Lee’s Prince and Princess pet store in time to save the puppies. The greatest problem (beyond the image of burning puppies) is a video camera that police say shows her and a man named Kirk Bills setting the fire. Peace Janiece Marshall clearly viewed the arson as more serious than the usual alleged case of burning down an empty restaurant or warehouse. The court increased her bail from $40,000 to $310,000. That is quite an increase so that even with a bail contract, she would be looking at ten percent or over $30,000 to secure her release. What was most interesting for me is that she was charged with 31 arson, conspiracy, burglary and attempted animal cruelty charges. That sounds like count stacking for a single case of arson, but the police charged each puppy as a case of attempted animal cruelty. There were 27 puppies and there are 27 charges. Hard to argue with that math. Animal activists are calling for a long sentence and one protester was removed from the courtroom. For animal rights advocates, these two are viewed as akin to war criminals. Bills was arrested in Indiana and police say that the video camera showed him splashing the dog cages with kerosene. However, the sprinkler system quickly put out the fire. Between the video camera and the sprinkler system, this does not seem like a particularly well-thought out arson conspiracy. If there is a video, this is an obvious case for a plea. However, with the protesters and the evidence, such a plea might come at a high cost for both defendants. What kind of an A/H comment is that, TWF? Off the cuff I will just reference WA law as a quick example, for which I am more familiar. She would have to file a claim with her insurance carrier in order to satisfy the element of Insurance Fraud. I don’t know if she made it that far before she was arrested. But if the prosecution can can show that she intended to later file an insurance claim and the arson was the basis for that future claim she could be charged with Criminal Attempt of Insurance Fraud. You could sit me on that Jury and I would exonerate her without hearing hardly any evidence and not even losing sleep over it. An eye for an eye. Ugly eyes she has too. Burn her.